Sinn Féin TD Caoimhghín Ó Caoláin has announced that he will not contest the next election. The Cavan-Monaghan TD was first elected to the Dáil in the 1997 general election. He told a party meeting in Cootehill this evening that he wanted a "younger generation of republican voices to step forward and take up frontline and leadership roles". Mr Ó Caoláin was the party’s sole TD until 2002 and was its Dáil leader from 2002 to 2011. He has served as a spokesperson on health and children issues and is currently spokesperson on disability rights and older people. 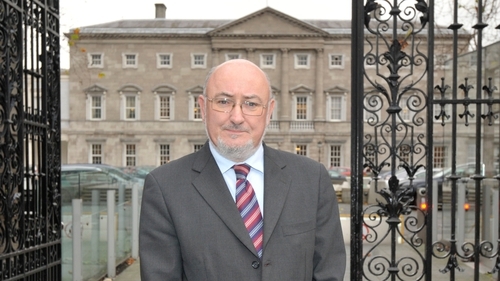 He is also chairperson of the Oireachtas Committee on Justice and Equality. Sinn Féin leader Mary Lou McDonald described him as "an exemplary parliamentarian" who has "spent decades of his life selflessly working to better the lives of others". Louth TD and former Sinn Féin leader Gerry Adams said Mr Ó Caoláin had been "a tireless representative for the people of Cavan-Monaghan".